Home EJIL Analysis The European Union: Rule of Law or Rule of Judges? 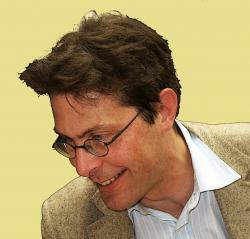 Jakob Cornides, JurD, serves as an official in the European Commission’s Directorate General for Trade. The views expressed in this contribution are the author’s, and are in no way attributable to the institution where he is employed. In this year’s “State of the Union Address”, delivered on 11 September 2013 at the European Parliament in Strasbourg, Commission President Barroso announced that the Commission would come forward with a communication that would contain proposals for a “general framework” to address “challenges to the rule of law in our own member states”. Just one week earlier, on 4 September, Commission Vice President Viviane Reding had given a talk at the premises of the Center for European Policy Studies (CEPS), in which she outlined what such a “rule-of-law-mechanism” might look like. While it must be supposed that, rather than an official Commission position, this talk represented nothing but Commissioner Reding’s personal views, it nevertheless could be seen as a sort of kite-flying exercise with the purpose of testing the reactions of the public to ideas for which the Commissioner wants to garner support. The Commissioner’s intention to frame the debate is further underlined by the fact that she will host a conference in Brussels on 21/22 November in Brussels, where one panel has been set up to deal with her proposal, which has been summarized in a discussion paper. In this post I will set out the “challenges” that Commissioner Reding thinks should be addressed and then describe the remedies that she proposes before offering my own views on whether there is indeed a problem and my analysis of the proposed solutions. In my view, the Commissioner’s analysis of supposed problems is rather unconvincing, and her proposals appear more likely to create new problems than to solve existing ones. In particular, her proposals would accord excessive power of the judicial institutions of the European Union and in effect end the sovereignty of Member States. 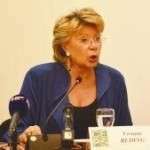 In her CEPS speech, Mrs. Reding specifically mentioned three cases in which a “rule-of-law-crisis” in a Member State made an intervention by the Commission necessary: (1) the political mayhem surrounding the French government’s decision to repatriate several thousand Roma originating from Romania and Bulgaria, who had neither residence nor work permits, back to their countries of origin; (2) the lively debates, in particular in the European Parliament, concerning the new constitution of Hungary in 2011; and (3) the constitutional crisis in Romania in 2012, where the newly elected Government, attempting to divest State President Traian Basescu of powers, refused to abide by a decision of the country’s Constitutional Court finding that a referendum to impeach the President had failed to attain the necessary quorum. According to Commissioner Reding, these three cases illustrate that a new “rule-of-law-mechanism” is necessary for the EU in order to prevent national governments from violating the EU’s common values. This mechanism should “bridge the gap” between the normal infringement procedures under Article 258 of the Treaty on the Functioning of the European Union (TFEU) – which apparently is too “soft” -, and the procedure set out in Art 7 of the Treaty on the European Union (TEU) – which, in the Commissioner’s words, is “very heavy to handle”. In other words, what is needed is a new procedure for the Commission to discipline Member States, which should be at the same time dissuasive and easy to use. To abrogate Art. 51 of the EU Fundamental Rights Charter (FRC), which limits the scope of application of the Charter “to the institutions and bodies of the Union with due regard for the principle of subsidiarity and to the Member States only when they are implementing Union law”. In the first place, it seems to me that the three examples used by Mrs. Reding in making her argument do not support the claim that the law enforcement powers of the EU institutions need to be geared up. With regard to the French “Roma crisis”, the Commission appears to have not even attempted to initiate infringement procedures under Article 258 TFEU. Why not? Because, even if some may have regretted it, there was no doubt that the French Government’s action was perfectly in line with its obligations under the EU Treaty. The free movement of persons under the EU Treaty comes with conditions (which are set out in Directive 2004/38/EC , and in particular Art. 7 thereof). Where these conditions are not met, the rule of law does not prohibit, but in fact requires, the measures that the French government decided to take. In the case of Hungary, as many will remember, there was a lot of excitement over the fact that the newly elected Government led by Viktor Orban, whose FIDESZ Party controls more than two-thirds of seats in Parliament following an overwhelming election victory in 2010, used this majority to adopt a new constitution that enshrined values such as the protection of life from the moment of conception, the definition of marriage as a union between a man and a woman, and (horribile dictu!) even an invocation of God. Representatives of the liberal, socialist, green, and left groups in the European Parliament lambasted this as “retrograde” or as “a breach of European values” – but was this really more than politically motivated rhetoric? Instead of more than “100 breaches of EU Law” (which was the claim loudly proffered by certain critics), the Commission identified only three such instances, in regard of which it initiated infringement procedures under Article 258 TFEU. In two of these cases, Hungary followed the Commission’s advice and changed its laws, and only the third one resulted in a judgment of the CJEU, which condemned Hungary for … a case of age discrimination(!). However, by the time that judgment was issued, the controversial law was not in force anymore, because it had already been invalidated by Hungary’s own Constitutional Court. Thus, there was one instance in which Hungary, rather than submitting to the Commission’s assessment, chose to defend its position in court. The court made a decision, and Hungary abided by it. Is this really a “rule-of-law-crisis”, or is it not rather part of everyday normality? How does this case prove that the procedures provided for in Article 258 TFEU are not efficient? The only “rule-of-law-crisis” that can correctly be called that name is the constitutional crisis that occurred in Romania in 2012. But even this crisis, which involved alleged breaches of Romania’s own constitutional order rather than any infringement of EU laws, was resolved without any recourse to Article 7 TEU. Once more, how does this evidence the inefficiency of Article 7 TEU, or the need for additional instruments? Does it not, on the contrary, show that Article 7 TEU was, even without being used, efficient as a fall-back scenario? If the analysis of the problem appears grossly mistaken, what shall we say of the proposed solutions? Rather than widening the FRA’s mandate, one might, with good reasons, ask whether this agency is, or ever was, really needed. There is no place, in Europe, for yet another human rights tribunal besides the European Court of Human Rights (or, as far as the interpretation of the FRC is concerned, the CJEU). If, by contrast, one considers that the Agency’s role should remain that of a provider of technical assistance and academic expertise (cf. Article 2 of Regulation 168/2007), one cannot help mentioning that the “expertise” so far provided by the Agency has been of extremely poor quality, if not worse (see, for example, here and here). Moreover, such assistance and expertise is available on the free market: there are hundreds of research institutes, academics and NGOs dealing with human rights issues. Why, then, does the EU need a specialized quango that, at the cost of €20m per annum, monopolizes the role of providing “expertise”? Would not an open academic debate, in which everybody can participate on an equal footing, be far better? The idea of extending the FRA’s mandate seems, however, rather harmless, if compared to the other two proposals made by Mrs. Reding, which, if followed, would have the potential of completely overturning the balance of power within the EU. What Commissioner Reding apparently wants to achieve by the removal of Article 51 of the Fundamental Rights Charter is that the Charter would become applicable to whatever Member States do within the scope of their own exclusive competences. Extending the CJEU’s jurisdiction to Article 2 TEU would mean that the Court could henceforward hold Member States accountable not only for the breach of concrete provisions of EU law, but also of vaguely defined “values”, which include not only the rule of law, but also “non-discrimination”, “pluralism”, “solidarity”, or “tolerance”. It is not that I believe these values shouldn’t be defended. But maybe not in this way. Taken together, Mrs. Reding’s proposals would transform the CJEU into a judicial super-institution with nearly unlimited powers to use those vague concepts as a pretext for interfering everywhere and at all levels. This would be the end of Member States’ sovereignty. This would not only severely affect the power balance between the EU and its Member States, but also between the different EU institutions. It is hard to imagine that the CJEU, once provided with unlimited jurisdiction (which, different to the ECtHR, comes along with the power to impose extremely severe sanctions on Member States), would not succumb to the temptations of judicial activism. And the Commission would assume a new role: instead of a guardian of the Treaty, it would become the “guardian of the values”. An “activist” CJEU, in conjunction with a Commission that, rather than pursuing its policy goals by proposing new legislation, uses “strategic litigation” as a means achieving those goals, could become a nearly omnipotent power machine, whereas the roles of Parliament and Council would be marginalized. Would such a mechanism really lead to a better protection of the rule of law? Or would it not rather achieve the opposite? Thank you for this very interesting presentation and congratulation in particular for its excellent title. So, how would you analyse the current crisis of the ECtHR in this context and the EU accession to the EConvHR? Excellent, unbiased analysis! Also my special congratulations to EJIL Talk on publishing it. Just one remark: your conclusion falls short on your reasoning. Shouldn’t we be consequent and pursue the EU replacement by a Christian free trade area? Thank you for this very interesting and sober analysis. Excellent analysis! I am not sure, shall I be more impressed with this analysis or with the excellent political scenario by Ms Reding? How to turn EU into the State (“cosmopolitan empire” as Beck and Grande call it) without bothering Member States with this issue. Principle of subsidiary (art. 5.3 EUTr) and the principle of attributed powers (art. 4 EUTr) would stay untouched and completely meaningless! Masterpiece! EU Commission is transforming States’ sovereignty in to local self-government of European Provinces. Goodbye Member States! Welcome Provinces of the United European Empire! To Grégor: I agree that the ECtHR is in a profound crisis today. But that crisis is not addressed in my post, nor in Mrs. Reding’s proposals for a reform of the EU Treaties. In order to resolve the ECtHR’s crisis, there are of course a number of reforms that one might consider, including (1) an improved selection process for the judges, (2) the inclusion of an amendment that subjects the ECHR to the interpretive rules set out in the Vienna Convention (so as to forestall certain interpretive extravagancies, such as the Court’s “living-instrument-doctrine”), (3) the revocation of the 11th Protocol (or at least parts thereof), or (4) the establishment of a mechanism that allows signatory states to to deposit formal reservations, which should be accompanied with detailed reasons, against judgements of the Court that they consider manifestly wrong. But my post is rather focused on the CJEU. I think that generally speaking the CJEU’s judgments usually are of a far better quality than those of the ECtHR, even if there are (as in all such institutions) every now and then decisions that deserve criticism. On the other hand, the sanctions it is able to impose on Member States go far beyond what the ECtHR can, which means that the CJEU, should it ever sucummb to the temptations of judicial activism, would become a much more powerful (and potentially dangerous) institution. The main point I wish to make in this post was therefore that democracy and the rule of law are best protected through an institutional set-up that creates a balance of powers. It is an illusion to believe that transferring unlimited powers to judicial institutions such as the ECtHR and the CJEU will improve things. It will only lead to a politicisation of the judiciary, but without the checks and balances of an ordinary legislative proces, and hence with far less possibilities for the ordinary citizen to make his voice heard. To Tino: As a trade official, I am certainly in favour of free trade. But the question here is not whether the EU should be replaced, but on which values it should be built. Should the EU be more “Christian”? I think that if we look at the demographic situation of Europe today, people have all sorts of (sometimes rather confused) moral convictions, which in many cases are not very “Christian”. The set of values in Article 2 of the TEU is as such very good, and I’m not saying they should be replaced. I just am concerned over the implications of Mrs. Reding’s reform proposals for the balance of power between the EU and its Member States, as well as between the various institutions of the EU. To Aleksander: I believe that if European citizens really wanted to live in a pan-European super-state, such a state should be created. I only think that (1) such a super-state should not be created if citizens don’t want it, and that (2)even in such a super-state the separation of powers should be maintained. Which obviously implies some restraints for the CJEU’s possibility to build far-reaching decisions on the basis of rather vaguely defined “values”. I read your paragraph on EU Citizenship with genuine horror. The Commission’s power to bring infringement proceedings is discretionary, and lack of proceedings is not evidence that France’s conduct is lawful. Mass expulsions violate EU and ECHR norms, as individual assessment is required under both systems. Moreover, any restrictions on the residence rights of EU Citizens are subject to strict assessment, to comply with the terms of the 2004 Directive, general principles of EU law and the Charter. Furthermore, even if we assume (and you seem to assume to know about all the individuals concerned..), that some of those deported are not economically active or are not in full compliance with the residence conditions set out in the 2004 Directive, it’s well-established that this does not per se deny the EU Citizen her right of residence (at least since Baumbast, if not just simply a feature of the notion of EU CItizenship being a ‘status’). To suggest as a matter of EU law or human right law ‘there was no doubt that the French Government’s action was perfectly in line with its obligations under the EU Treaty. The free movement of persons under the EU Treaty comes with conditions (which are set out in Directive 2004/38/EC , and in particular Art. 7 thereof)’ frankly beggars belief. The rule of law strictly constrains expulsion. Indeed, EU Citizenship apart, there may be many other legal bases to assert a right to reside or at least to resist removal. Without due process and individual assessment, expulsion, is precluded, rather than required by law. In fact, I’m surprised at the editors of this blog, which is usually a source of high-level legal analysis, that this has been published. I was mostly surprised by the poor quality of the discussion of Hungary. The fact that among all the Hungarian government’s shady dealings only three violations of EU law could be discerned is exactly the problem. It is hardly evidence of lack of wrongdoing. That said, let’s not put Commissioner Reding in charge of fixing this, because I’ve always found her a particularly unimpressive Commissioner. •	“Mass expulsions” is a very careless and inappropriate choice of terminology. This term is, for example, frequently used for the expulsion of Palestinians from their home country in 1948, or for the expulsion of ca. 4 million ethnic Germans and Hungarians from Czechoslovakia after WWII on the so-called “Benes-Decrees”. The victims of those expulsions were, however, not migrants without residence or work permit, but they were driven from a country where they and their forefathers had been living for at least 40 generations. It is absurd to suggest that France has committed (or that I am approving) such mass expulsions. •	Instead, unless you have evidence suggesting the contrary, we should assume that the French authorities have indeed made an assessment of each individual case on the basis of the criteria set out in Directive 2004/38/EC. •	Finally, it is not quite clear to me what the ECJ’s Baumbast decision has to do with this. It dealt with very specific circumstances, and has certainly not the effect of giving all EU citizens a right of residence in all Member States irrespective of any conditions. That decision, moreover, was issued before the adoption of Directive 2004/38. I nevertheless appreciate your comment, because – even if concerns what I think really is a side-issue – it is highly illustrative of the rather problematic understanding of the rule-of-law that seems to prevail in some quarters, and which might be paraphrased by saying: “whenever a public authority does something I dislike, I will claim that the rule-of-law principle has been breached”. In that sense, your reasoning is rather similar to Mrs. Reding’s. Are you sure that you are not confounding the rule of law with the rule of what would be your own subjective preferences? Thus, I should maybe make the following clarification: the rule of law is a concept that foresees that government should be exercised on the basis of law. In a country where the rule of law prevails, formal compliance with the law enjoys precedence not only over the personal authority of the ruler (which is what enables citizens to challenge government action in court), but also over other possible rationales for government action such as justice, efficiency, etc. The rule of law is not itself a first principle, but logically derived from the principle of the separation of powers: the legislative power should make the laws, the executive power should apply them, and the judicial power should – in case of a dispute -interpret them with binding effect. The decision of the judiciary must be abided by. If these conditions are met, we can say that the rule of law is respected. Thus, you can of course say that you would prefer France (or the EU) to adopt other, more “generous” laws than those that are in place. I’m not sure everyone would agree with you, but at least it is a point of view one may have. But if you say that the rule of law has been disrespected, you should point out which law precisely has, in your opinion, been violated. In any case, “rule of law” means that law prevails over justice. If you find the expulsion of Roma from France unjust, that alone is not sufficient ground or saying that it violated the rule of law. Or maybe you (and Commissioner Reding) think that moral grounds should prevail over the law? Ok, but then you should not claim to be defending the rule of law. On the contrary, you are drawing it into question. I find a similar court-circuit also in Mr. Holterman’s reasoning. The problem is certainly not that the Commission has made insufficient efforts to enforce EU laws against Hungary, but that (apart from the three cases where proceedings were initiated) the laws were, even upon close scrutiny, not found to have been violated. Thus, one might call for different (i.e. stricter) laws, and it seems to me that this is what Mr. Holterman is doing. But one cannot accuse Hungary of having disrespected the rule of law, when in fact no laws existed that could have been disrespected. Leaving your questionable definition(s) of the rule of law aside, I am not sure which treaty or directive articles lead you to believe that the RoL “requires” the taking of measures in cases where the condition of said Directive are not met. Further, I think you would have to agree that the statement that there was “no doubt” as to the legality of France’s action is a bold exaggeration. As you admitted in your most recent reply above – there is no evidence that France did carry out an assessment of every individual. Instead, there is a lot that suggests they did not. In any case – this evidentiary basis does not justify any determinative conclusion on this point. Finally, you do not appear to have considered the human rights and fundamental rights which EU members are obliged to comply with (both within as well as in addition to the EU treaty framework) and were most certainly engaged when France expelled the Roma en masse. First: if you find my explanation of the rule-of-law “questionable”, you should politely explain how you come to that qualification. This is an academic debate. Second: you seem to be pretty determined to find France culpable of having breached the law, even if you don’t make any effort to prove that point. But as far as alleged breaches of EU law are concerned, there is only one way to find out: to launch an infringement procedure and get the CJEU to condemn the Member State at question. Commissioner Reding has not done so, although that possibility was open to her. If Cathryn (above) or you say that “lack of proceedings is not evidence that France’s conduct is lawful”, my view is that such a statement, while true from a strictly logical point of view, is irrelevant politically and makes not much sense as a contribution to academic debate. But for a Commissioner who has both the task and the means to enforce relevant EU law such a statement certainly is more than just awkward. Directive 2004/38 is, by the way, not the only law for the violation of which France has NOT been condemned. There was also no finding of a violation of any of the “human rights and fundamental rights which EU members are obliged to comply with (both within as well as in addition to the EU treaty framework)”, to use your words. So, can we please get away from gratuitous assertions? I’d be more grateful if you could contribute to the main issue, i.e. the Commissioner’s proposals for a “rule-of-law mechanism”. Thanks for the reassurance, Mr Cornides! I have to admit I felt some pretty ghastly tremors of Europe’s past as the French government bared its teeth in the face of some of the continent’s most vulnerable people, but now I know the Roma simply need “to launch an infringement procedure and get the CJEU to condemn the Member State at question”. All is well in the best of all possible Europes! To the moderator : I forgot one word in the reaction I just posted, so I post it again. Sorry for this mistake. contribution, as well as with most of the remarks to the comments. In one of your comments, you say : “the rule of law is not itself a first principle, but logically derived from the principle of the separation of powers: the legislative power should make the laws, the executive power should apply them, and the judicial power should – in case of a dispute -interpret them with binding effect. The decision of the judiciary must be abided by. If these conditions are met, we can say that the rule of law is respected”. I’m quite convinced that the rule of law is much more than this : it implies “checks and balances” : the possibility for the legislative and judiciary to control the activity of the executive, the independence of the judiciary, the existence of a constitutional court to control the constitutionality of the laws and many more. As far as the Hungarian case is concerned : why I’m convinced the Orban government breached the rule of law, is because of the 2013 amendment to the Hungarian constitution, which deprived the Constitutional Court of most of its prerogatives. This is certainly contrary to the rule of law, because it is contrary to the “checks and balances” mechanisms I just mentioned. Why article 7 TEU was not used? Because, the conditions mentioned in Article 7 make it nearly impossible to enforce. 1) There is no place, in Europe, for yet “another human rights tribunal” besides the European Court of Human Rights. 2) The legal expertise of this Agency is so poor that one should seriously think about suppressing it. Concerning the first point, neither Ms. Reding, nor anybody else, has ever said that this agency would become another tribunal and it’s not fair to pretend it is the case. The only point is to extend its capacity of analysis or criticism, concerning respect of the EU Charter of Fundamental Rights. I also read with great skepticism the answers you provided to some commentaries of your article. Even if these are not the main topic of your article, I cannot but react to most of these answers. is nothing in this Convention which prevents such a dynamic interpretation : this is why the recourse to preparatory work, in Article 32 of the Vienna Convention, is only mentioned as a supplementary means of interpretation. See also the case-law of the ICJ using this dynamic interpretation, for exemple on environmental norms. Concerning the term “mass expulsion”, which you find “inappropriate” in one of your comment: it is true that Article 4 of Protocol 4 to the ECHR uses the term “collective expulsion”, not “mass expulsion” (the French version of this text uses the expression “expulsions collectives”). You seem, nevertheless to ignore that this article prohibits the collective expulsion of aliens, who might be indeed aliens without residence or work permit, and that the Strasbourg Court condemned Belgium precisely on this legal ground in its Conka v. Belgium judgment, 5 February 2002, for the collective expulsion of…Roma people! (see also in another context Hirsii Jama and others v. Italy, 23 february 2012, and article 19§1 EU Charter of Fundamental Rights). Like it or not, the rule of law is also to respect judgments of European tribunals and courts…The French expulsion of Roma people should, therefore, be also analyzed in light of this case-law (and, as you know, the EUCJ often refer to the Strasbourg case-law). Concerning the French crisis about Roma people, you say in your article : “The free movement of persons under the EU Treaty comes with conditions (…) Where these conditions are not met, the rule of law does not prohibit, but in fact requires, the measures that the French government decided to take”. First point : this is a false assertion, as article 4 of Protocol 4 ECHR prohibits mass expulsion. One last comment : you say in your text : “Extending the CJEU’s jurisdiction to Article 2 TEU would mean that the Court could henceforward hold Member States accountable not only for the breach of concrete provisions of EU law, but also of vaguely defined “values”, which include not only the rule of law, but also “non-discrimination”, “pluralism”, “solidarity”, or “tolerance”. Would you then say that when the EUCJ apply general principles of law – and I think some of the fundamental rules deriving from the rule of law are indeed general principles of law – it exceeds its powers? Then, you assimilate non-discrimination to a vaguely defined value. May I kindly suggest you to have a look at the EUCJ and ECHR quite sophisticated and elaborated case-law on discrimination, as well as at one of the numerous manuals on this topic, in order to reassess your opinion? thanks for having read this discussion, and for posting this very lengthy comment. Obviously, there is a lot of disagreement between you and me, but please understand that, given the length of your post and the quantity of the points you raise, I cannot reply to all of them. So, which of these many points is the one you find the most important? I’ll try to answer at least that one. Stephen, you are surely not suggesting that Commissioner Reding lacks empathy for Europe’s most vulnerable people? So why do you think she didn’t initiate any infringement proceedings against France? Is it because her advisers explained to her that the CJEU was very unlikely to find an infringement? Frankly, I would have appreciated a discussion on all of the points I mentioned, but ok, let’s focus on one : what about the 2013 amendment to the Hungarian Constitution, which annihilates most of the normal functions of a constitutional court? How do you reconcile this with the rule of law? And, if there is a serious problem – and I’m not the only one to be convinced there is – do you really think article 7 TEU and article 258 TFEU are useful tools? Don’t you think it’s high time for European institutions to discuss seriously about how to preserve member States from such practices? I must admit that I cannot pretend to be (but can you?) an expert in Hungarian constitutional law, so necessarily my answer will remain somewhat superficial and risk to not satisfy you. As a general remark, I would say that there do not seem to be common European Standards on Constitutional Courts, how exactly they should be composed, and what competences they should have. My own country (Austria) was the first in Europe to have a specialized Constitutional Court. But what, for example, should we think of the UK? They don’t even have a written Constitution. I suppose it is quite an overstatement to say that the 2013 reform “annihilated most of the normal functions of a constitutional court”. Can you substantiate this? As I don’t read Hungarian (do you?) it is very difficult for me to find reliable information, and I think that much of what we can read about it in the international media appears to be based on second-hand information, and from a certain political bias. According to what I read in one source, one point of concern was that the CC is not allowed to review laws that were adopted by a constitutional majority. But is that not the case in nearly all countries? In my own country, the same restriction exists and has always existed. And the same is the case with regard to many of the things that are touted as scandalous “human rights abuses” in Hungary: they exist in many other countries, and nobody seems to be worried. For example the law that allows municipalities to define zones in which homeless people are not allowed to squat: one may find such laws regrettable – but do you seriously think that Venice, Florence, Paris, etc. do not have similar provisions? In Venice, even you might get into trouble when, as a tourist, you sit down at the stairs of a Church to have a picnic. As regards Article 7 TEU, I think one should keep in mind the origin of that provision. It is strange that Mrs. Reding’s CEPS speech did not contain any mention of the situation that occurred in the year 2000 when 14 of the (then) 15 EU Member States sought to impose diplomatic sanctions against Austria following the formation of a new Government that included a populist right-wing party. This was indeed the first time that EU Member States sought to intervene in the internal affairs of another Member State in such a way, and it was precisely in view of such situations that the procedure under Article 7 TEU was introduced in the Nice Treaty. But this was in reality a political crisis between Austria and the other Member States, and not a “rule-of-law-crisis” in Austria, given that what had triggered it was not any unlawful action or inaction of the Austrian Government (which had in fact taken office only some hours before, and therefore had not yet even had any occasion to violate the rule of law principle), but the mere fact that that Government included representatives of a political movement that was dubbed as “right-wing”. If anything, one could with very good reason argue that it was not Austria, but all other Member States, who acted in clear disrespect of the rule of law on that occasion, given that they pre-emptively sought to curtail or suspend Austria’s rights as an EU Member State without there being a legal basis for such a decision within the EU Treaty, without giving the Austrian Government any occasion to defend its position, and without even explaining which of its obligations under the Treaty Austria was believed to have violated. The true “rule-of-law-crisis” took place within the EU itself, not in Austria. It was, among other things, attributable to the responsible action taken by the European Commission, then led by Romano Prodi, that the principle of legality was respected and the crisis eventually resolved. But it is only in the light of this precedent that the purpose of Article 7 TEU can be fully understood. This article seeks to ensure not only the respect for the rule of law (and other fundamental values) within each Member States, but its main purpose is to protect the rule of law within the EU by preventing such lawless measures as those taken in 2000 by 14 Member States against Austria. Indeed, the inclusion of this provision into the Treaty was made following a proposal by the Austrian Government. Within the EU, which is a community based on law, measures limiting a Member State’s rights can only be taken on the basis of the law and in view of concrete rights violations; the dislike that some politicians or political movements may have against others are, by contrast, not a sufficient basis for arbitrarily rescinding a Member State’s membership rights. Had this Article already existed back in 2000, it would have protected Austria; in 2012, it helped protecting Hungary. Finally, as you can see, I am not against discussions. You and I are participating in one. I only have doubts regarding the proposals made by Commissioner Reding, for the reasons I have stated: they would not protect the rule of law, but overturn it. As you may know, researchers can access to a wonderful instrument if they want to check information about constitutional law from different countries : the website of the Council of Europe’s European Commission for Democracy through Law – well-known as the Venice Commission. There is no doubt about its authenticity, as most of these documents are submitted to the Venice Commission by the governments concerned. “139. In constitutional law, perhaps even more than in other legal fields, it is necessary to take into account not only the face value of a provision, but also to examine its constitutional context. The mere fact that a provision also exists in the constitution of another country does not mean that it also ‘fits’ into any other constitution. Each constitution is the result of balancing various powers. If a power is given to one state body, other powers need to be able to effectively control the exercise of this power. The more power an institution has, the tighter control mechanisms need to be constructed. Comparative constitutional law cannot be reduced to identifying the existence of a provision the constitution of another country to justify its democratic credentials in the constitution of one’s own country. Each constitution is a complex array of checks and balances and each provision needs to be examined in view of its merits for the balance of powers as a whole”. “140. However, the Fourth Amendment itself brings about or perpetuates shortcomings in the constitutional system of Hungary. The main concerns relate to the role of the Constitutional Court and to a lesser extent the ordinary judiciary. In the field of human rights in general, several issues are regulated in a manner disregarding earlier decisions by the Constitutional Court. “145. Taken together, these measures amount to a threat for constitutional justice and for the supremacy of the basic principles contained in the Fundamental Law of Hungary. The limitation of the role of the Constitutional Court leads to a risk that it may negatively affect all three pillars of the Council of Europe: the separation of powers as an essential tenet of democracy, the protection of human rights and the rule of law. 146. The Venice Commission stresses that the Hungarian Fundamental Law should not be seen as a political instrument. The crucial distinction between ordinary and constitutional politics and the subordination of the former to the latter should not be disregarded, lest democracy and the rule of law be undermined in Hungary. 147. In conclusion, the Fourth Amendment perpetuates the problematic position of the President of the National Judicial Office, seriously undermines the possibilities of constitutional review in Hungary and endangers the constitutional system of checks and balances. Together with the en bloc use of cardinal laws to perpetuate choices made by the present majority, the Fourth Amendment is the result of an instrumental view of the Constitution as a political means of the governmental majority and is a sign of the abolition of the essential difference between constitution-making and ordinary politics”. Dear Philippe, many thanks for the links to these documents. I will read them when I find time. The Venice Commission is a body of legal experts, but its opinions do not as such enjoy a higher rank than anyboby else’s; in particular, they are not legally binding on anyone. I do agree that some of the criticism you quote may be well founded, But I think that the same or similar criticism could be made with regard to the Constitutions of many other countries, including Austria or Belgium. Are we sure that the same scrutiny and standards are applied to all? What I certainly do not agree with is the opinion that a report like this should be sufficient grounds to impose sanctions against a country, much less any of the sanctions set out in Article 7 TEU. If we accepted that, then the Venice Commission would be transformed from an experts’ group into a sort of judicial organ, and its politicisation would be the inevitable consequence. In my humble opinion, EJIL Talk!’s editorial process is at fault, not Mr. Cornides. Indeed, many of us could possible make such gross errors in judgment (eg to contend that discussion about Hungary’s constitutional crisis is pointless due to the unreliability of sources), but most wouldn’t be half as meaninglessly defiant (“but can you?”, “do you?”). By the way, it is about the oldest trick in academic town to support one’s conclusions with A, B, and C, and to go on to claim that a detailed discussion on A, B or C is off-topic. David: If you had read my original post more carefully, you might have noticed that I am not “supporting any conclusions” with “Hungary’s constitutional crisis”. I just think it is neither a “constitutional crisis” (your words, but unsupported by any argument), nor a “rule-of-law crisis” (Mrs. Reding’s qualification, based on one meager finding of “age discrimination”). The constituion might be improved, but where is the “crisis”? Like it or not, the length of the original post was strictly limited, and its purpose was neither to assess the case of each individual Roma migrant in France was examined in a way that would satisfy Cathryn (see above), nor to venture into a discussion on minute details of the Hungarian constitution. As a non-Hungarian, I am more concerned with the rule of law within the EU itself. Not because all is ok in Hungary or France, but because the proposals made by Commissioner Reding are in my view reason for much greater concern. Thank you for you reply. I still think that both your content and forms are deeply flawed, but I respect your theses. As for the editorial process, well, all has already been said. Greetings from Luxembourg to Brussels. I should perhaps add some more general considerations to what I wrote yesterday late night. However, I am surprised how the debate focuses on France and Hungary, and not on the proposals Commissioner Reding made for the EU. Concerning France, one contributor asks whether I’m sure that individual procedural rights have been respected in each individual case. Of course I’m not – my task was not to assess each individual case. On the other hand, the person asking this question has also not produced any evidence for rights violations. The question thus is: is the free movement of persons in the EU subject to the fulfilment of certain conditions? The answer is yes. Does a Member State therefore have the right to repatriate migrants from other Member States if they do not fulfil any of those conditions? The answer is yes. And if in France there is a law that stipulates that foreigners who have no entitlement to residence in France must be repatriated, does the rule of law then REQUIRE the repatriation of these migrants? Again, the answer is yes. Concerning Hungary, my point of view is not that all is perfect, but that it is a gross and dangerous exaggeration to speak of a “rule-of-law crisis” that requires action under Art 7 TEU. Thus there is no point in discussing the extended or limited competences of the Constitutional Court, but we should focus on the essential question: what is the rule of law? Well, I think that his definition is rather close to mine: I also said that the rule of law is derived from the principle of the separation of powers, i.e. that it implies checks and balances. And I think it is here that we reach the focal point. “Checks and balances” means that the power equilibrium between the three branches of government must be balanced, not that one branch, while controlling the two other branches, is itself exempt from control and correction. Mrs. Reding’s proposals, like some of the contributions in this forum, seem to imply that judges and legal experts deserve trust, whereas the legislative and executive branches don’t. Therefore the more power is conferred to the judiciary (at national and international level), the better it is for the rule of law. I must admit that I have difficulties with that approach. The rule of judges is not the same thing as the rule of law. What is to happen if judges (in particular those deciding in last instance, i.e. in what Kelsen called a “Grenzorgan”)– by mistake or deliberately – adopt decisions that are contrary to the law? How would that be balanced out? The answer is: the balance of power requires that there is a possibility for one of the other branches of government to correct such decisions. Normally this is done by changing the law. And if the wrong decision affects the constitution itself, then the balance of power would require that the constitution can be changed. Let me give you a recent example to illustrate the point. EU Member States have enshrined “gender equality” into the EU Fundamental Rights Charter. (One might raise the question whether this was really necessary, or whether “equality of all before the law” might not have sufficed as a principle…) On that basis, they have adopted a series of Directives, all of which required unanimity in the Council. One of those directives deals with equal treatment of men and women regarding access to services. Now, I don’t think that unequal treatment with regard to access to services is actually a frequent problem. However, it does occur in some areas. Where it does occur, there typically are good reasons for it. One of those areas is insurance: there can be considerable gender-specific differences regarding the actuarial risks to be insured. This is why the Directive contained an exception for the insurance market. In its decision “Test Achats vs. Conseil de Ministres”, the CJEU declared this exception to be void, as it considered that it violated the principle of “equality”. The decision has been criticized by an overwhelming majority of commentators. It actually means that the Court has imposed that the price for insurance policies has to be the same, even if the risk to be insured is statistically very different. This seems to be a rather perverse interpretation of “equality”. No doubt that the decision, despite being mistaken, is legitimate: the CJEU doubtlessly has the authority to interpret the Fundamental Rights Charter, or to invalidate directives. But what is far more interesting than the decision itself is the following: a narrow majority of a judicial college has invalidated (a part of) a legal act that was UNANIMOUSLY agreed upon by the governments of all Member States. And if Member States happened to be unhappy with that decision, the can repair it not by adopting, again unanimously, a new directive. No, they first would have to change the Fundamental Rights Charter (through an intergovernmental conference and, in some countries, a referendum). Some judges issue an ill-reasoned judgment, and it takes two unanimous decisions by 28 governments, plus several referendums at national level, to correct it. This is the kind of imbalance that I find worrying. And I therefore think it is unwise to foster the rule-of-law principle by multiplying the power of the judiciary. Another example for this worrying development is, as I already mentioned, the ECtHR. I do not think it is necessary to comment on any of its judgments in particular. It is by now well known that this Court’s ambition is not to apply the law, but to make it. Some seem to be pleased by the law that is created in such a way, and they therefore rush to praise and defend the court. But I think even they are perfectly aware that the Court’s case law is not in line with the actual content of the Convention. One may, depending on one’s social-political views, like or dislike what the ECtHR is doing. But it seems fairly obvious (and an author like Letsas, who openly sympathises with the Court’s judicial activism, is the best witness for it) that this Court does not defend the rule of law but undermines it. The first pre-condition of the rule of law is that the judges apply the law loyally. In the light of all that precedes, I think it is clear that the rule of law, while not being identical to a balance of power between the branches of government, is best protected by such a balance of power. Outsorcing all power to judges or to unelected “experts” is not a good remedy. “It is by now well known that this Court’s ambition is not to apply the law, but to make it. Some seem to be pleased by the law that is created in such a way, and they therefore rush to praise and defend the court. But I think even they are perfectly aware that the Court’s case law is not in line with the actual content of the Convention. ” Isnt that an old “Sherry-Party-question”? The wonderfull Scalia comes to mind. On the other hand I think all members of the EU are equal.